Sightseeing through the most famous world capitals is cool. I guess. But there's something about trekking through Patagonia or biking through Provence that has always had a special appeal in my opinion, and apparently, in the opinions of many others. According to the World Tourism Organization's barometer, international tourist arrivals reached an all-time record of 760 million in 2004, and it's doubtful that that number hasn't continued to increase. A Michigan State study, performed just one year later in 2005, found that 68.6% of these travelers are planning an “adventure vacation” in the future. Keep in mind, also, that those surveyed were not the stereotypical loud and poorly-dressed American tourists, they were global citizen seeking new experiences and they were surveyed at travel trade shows across the country. They were basically people like you and I. There is more of an excitement when one travels to do something, rather than simply see something. Each experience offers a unique way to explore the world and once in a lifetime adventure. A word, for which, adventure travel originates from. These days, however, adventure travel offers enthusiasts more than ever. 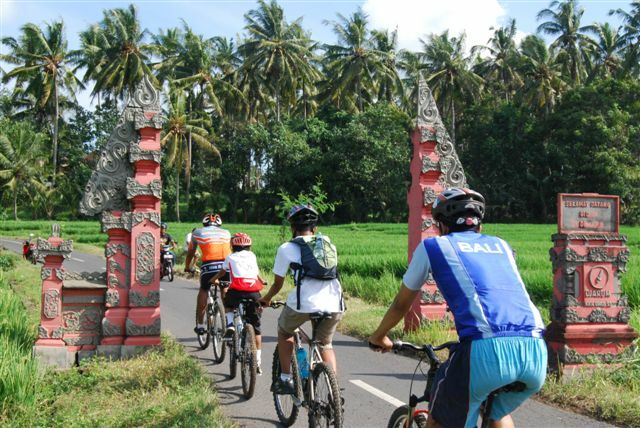 In addition to the biking, hiking, and safari escapades, there are opportunities to volunteer, explore a particular culture or heritage, delve into a spiritual journey (like yoga, meditation, or religious retreats) and/or save the environment. On the path less traveled, anything is possible. So go out, stretch yourself on adventure tours, be inspired, the world awaits you. I totally agree-travel sometimes feels more fun when there is a purpose. I want my next major trip (besides my honeymoon) to be some sort of volunteer trip, or a volunteer vacation (some volunteering but with enough free time to explore and enjoy myself too). Your blog post is extraordinary. I wonder how don’t you handle to write down posts so regularly. I am very lazy.